Since 2009, Print-O-Tape has supplied over 200,000,000 RFID labels and tags worldwide to high profile clients in the transportation, retail and pharmaceutical markets. Our first RFID contracts were secured with the Airport Authority of Hong Kong and Las Vegas McCarran Airport. Print-O-Tape’s early success in the aviation market provided the RFID knowledge and experience necessary to deliver solutions to our clients in other markets, such as retail and pharmaceutical. 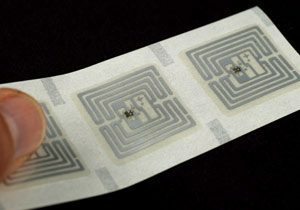 As the RFID market matures, Print-O-Tape continues to invest in this technology and are committed to expanding our product offering by providing customized tags and labels based on your material and inlay needs.